Canned cold brew is increasingly popular and convenient, but where’s the hot canned coffee? 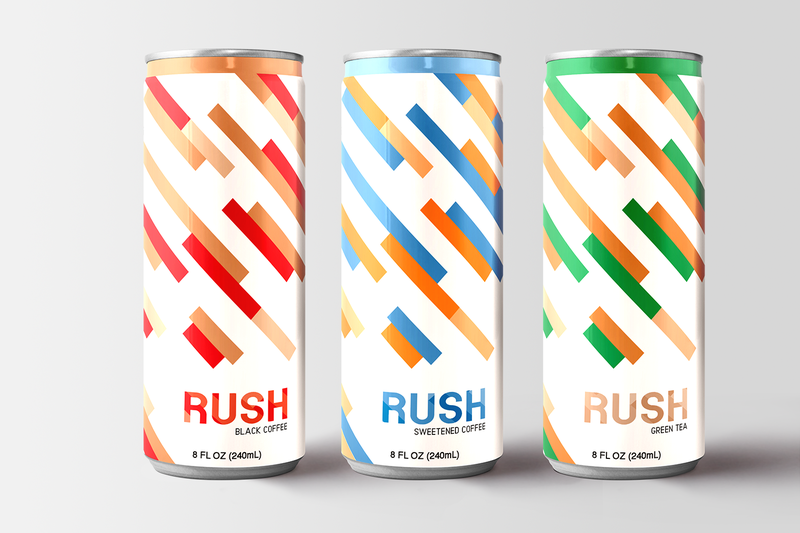 To capitalize on this trend, we created RUSH, hot coffee in a can for the chronically late. Nobody wants to be the person showing up late with Starbucks in hand. 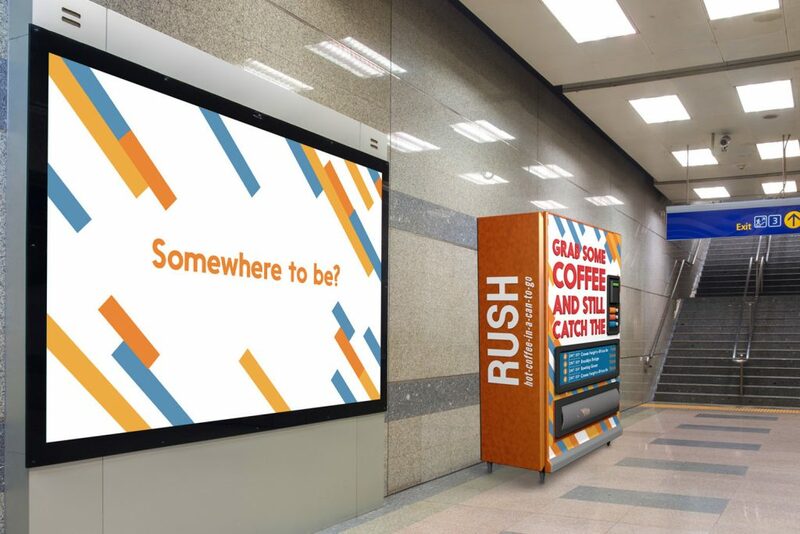 To successfully launch RUSH in an oversaturated coffee market, every aspect of the brand is designed to be ultra quick and convenient. No one has time to spare. The branding is simple and bold, with colors corresponding to the canned flavors: Black Coffee, Sweetened Coffee, and Green Tea. To keep the hot contents inside, the cans have a click to open/close feature that minimizes spills while commuting. 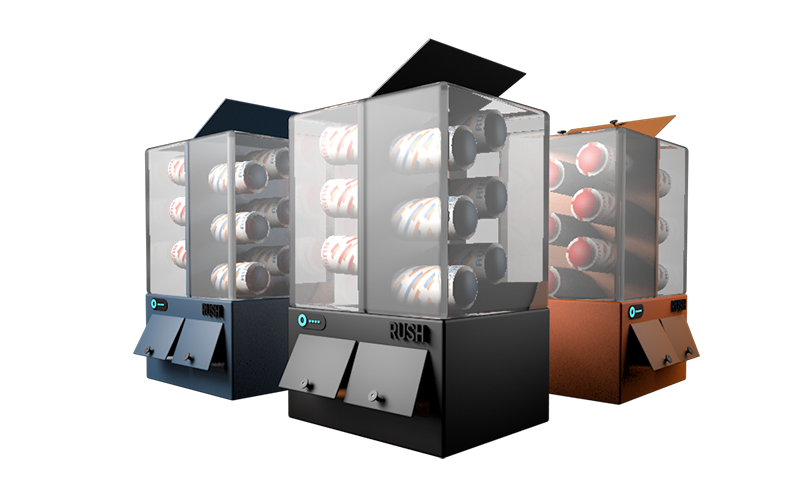 To get RUSH in our target’s hands as fast as possible, we innovated new ways to reach to distribute the heated cans. 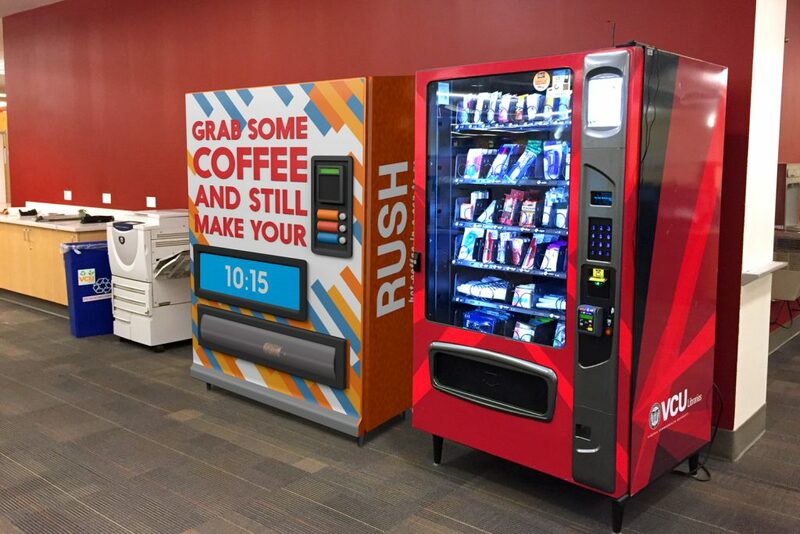 Vending machines using fast pay technology will be placed in subway stations, offices, and schools. 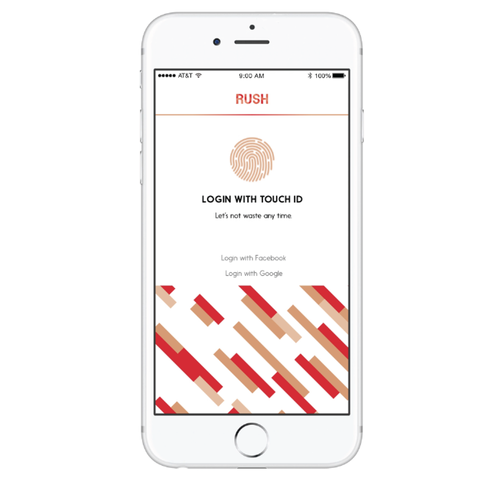 The payment function, drink preference, and payment balance are all stored in the RUSH app. Train information is synced to the front of the machine so users know how long they have until "x" train leaves. 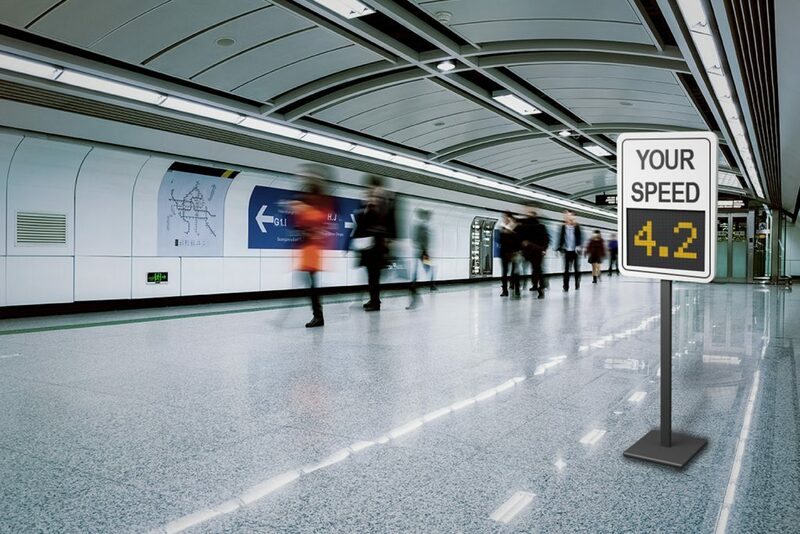 Speed tracking signs will be placed in pathways leading to the vending machines, showing commuters how fast they’re walking. 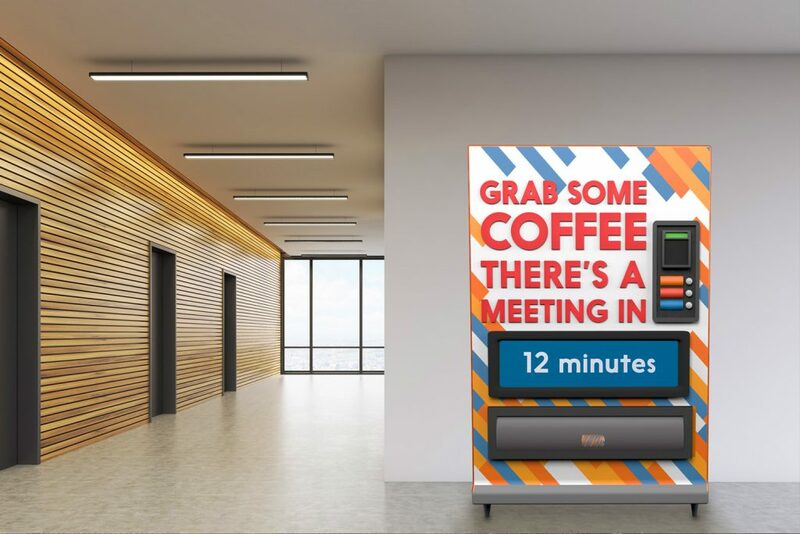 As they move closer to the machine, the speed tracker will trigger a wall ad, prompting them to grab some coffee. 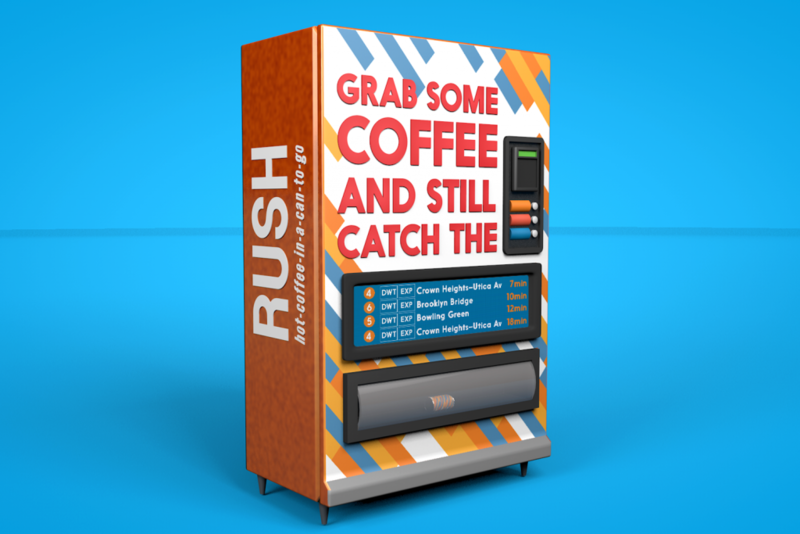 Businesses can partner with RUSH instead of traditional coffee machines. Many college students are chronically late. 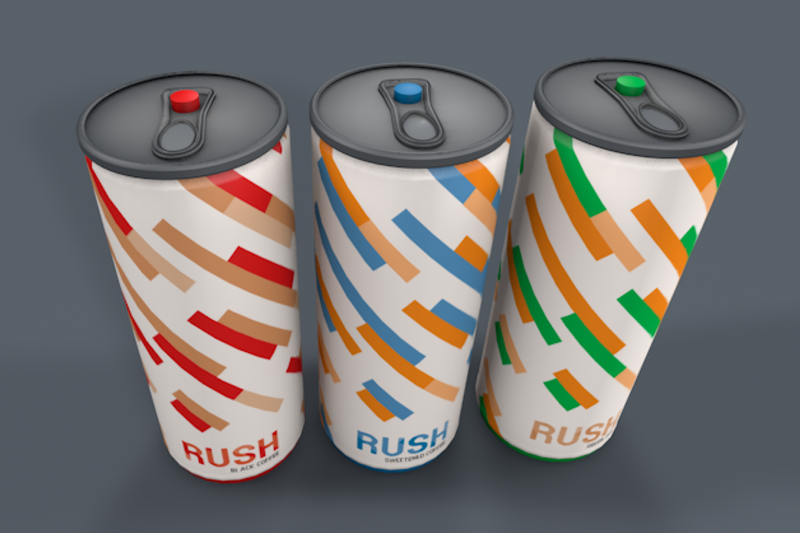 The Home Heater operates as a “hot fridge” to keep cans of RUSH ready at home. 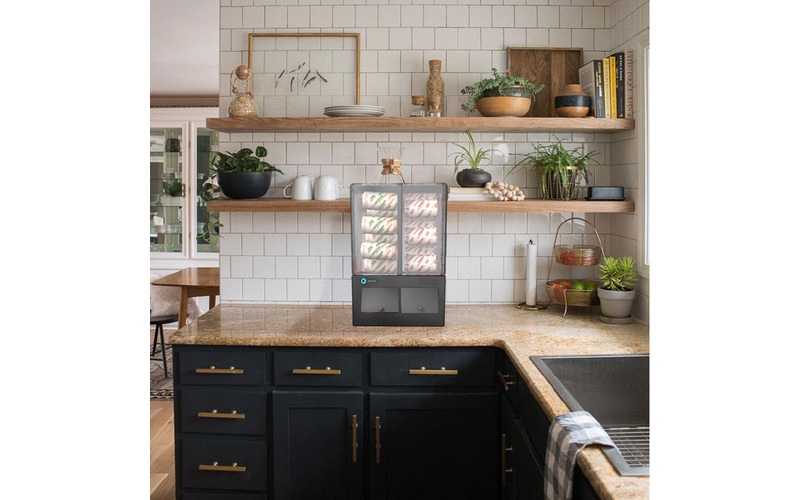 It’s designed taller and narrower to take up less area in the fight for counter space. Our target spends a LOT of time in the mornings checking Facebook. The Facebook ads will push users to download the RUSH app. The RUSH app functions as a quick pay tool and ordering device. 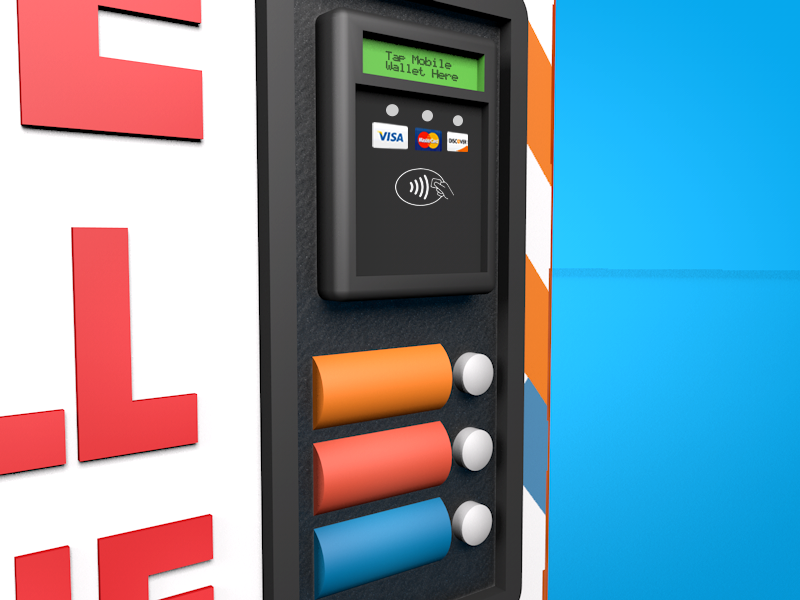 Save flavor preferences, maintain a balance, and find vending machines near you. RUSH drinkers can also use Amazon Dash buttons to restock when they’re running low on cans at home.